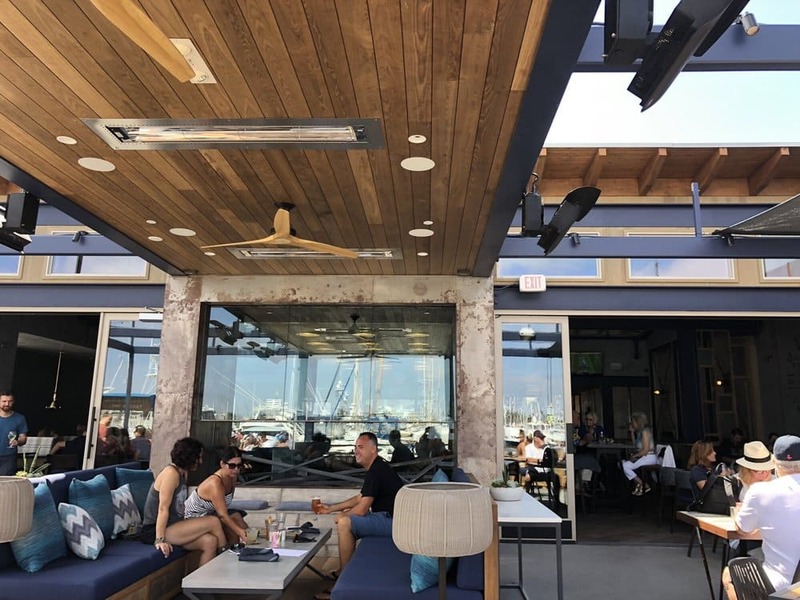 Located in the coastal community of Point Loma in San Diego, CA, Ketch Grill & Tap is the latest great eatery on offer from the Brigantine family of restaurants. 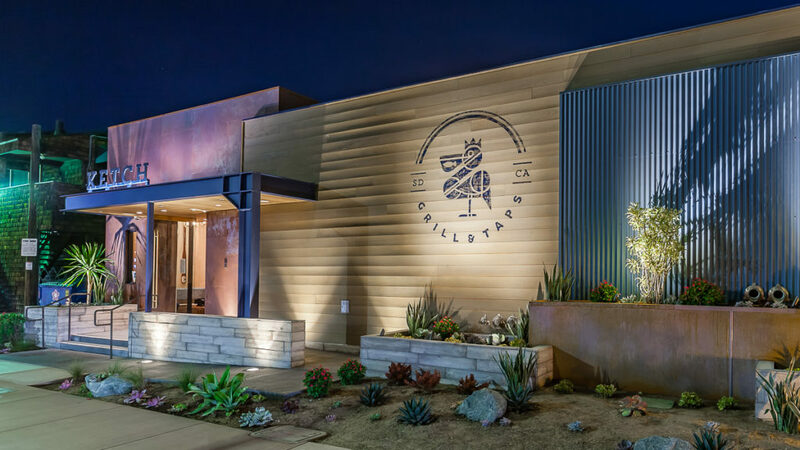 The owners are Mike and Barb Morton and they also own Miguel’s Mexican Cocinas, Zocalo’ in Old Town, Miguelito’s Sala de Artes y Comer and the new Steakhouse at Azul in La Jolla — as well as 12 different locations including their famed Brigantine restaurants. Besides having incredible food offered at each location, the secret is good locations, great service and inviting decor. The new Ketch Grill & Tap is another feather in the cap of the Mortons. 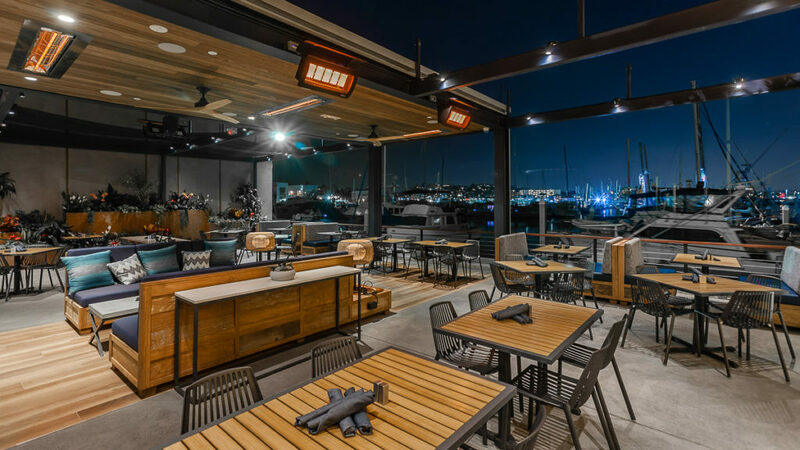 They took the longtime popular location of the Red Sails and turned it into a modern marvel with stunning views and cozy ambiance. 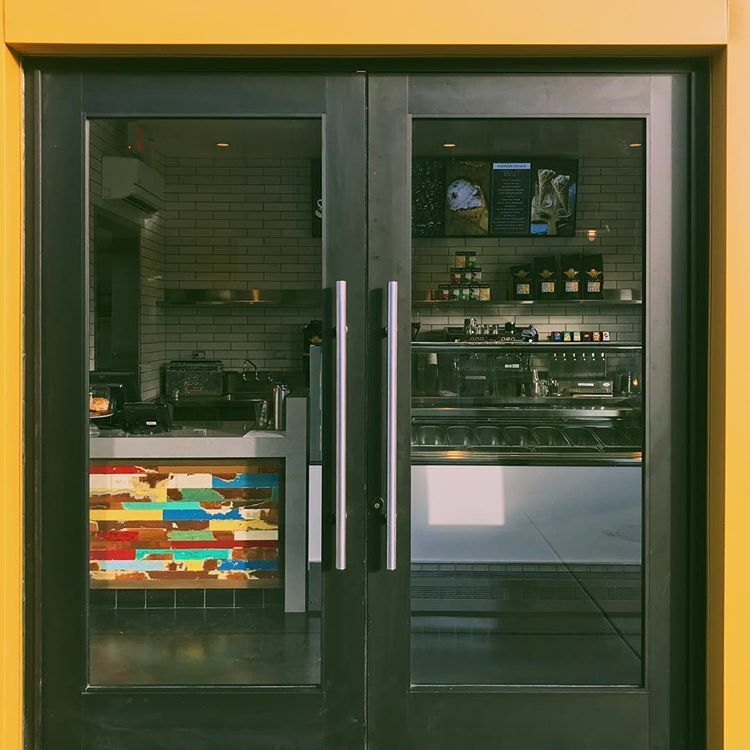 When youre in San Diego next time, make sure you stop by for lunch on a warm summer Sunday. You may never want to leave San Diego after this experience. The beautiful natural smooth siding from Indoteak Design covers the outside patio area. Stylish new redesign of the old local favorite Red Sails Inn. The owners of the Brigantine group did a wonderful job with Ketch and its ambiance. 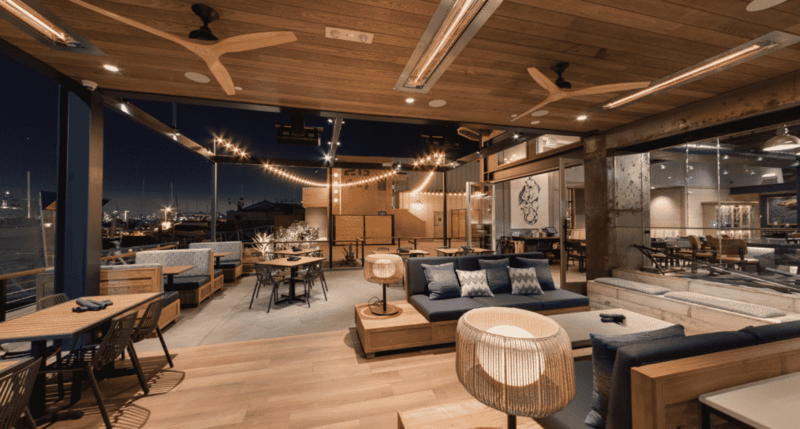 Bayside views and reclaimed teak from Indoteak Design are among the highlights of Ketch. The food and service are also amazing. 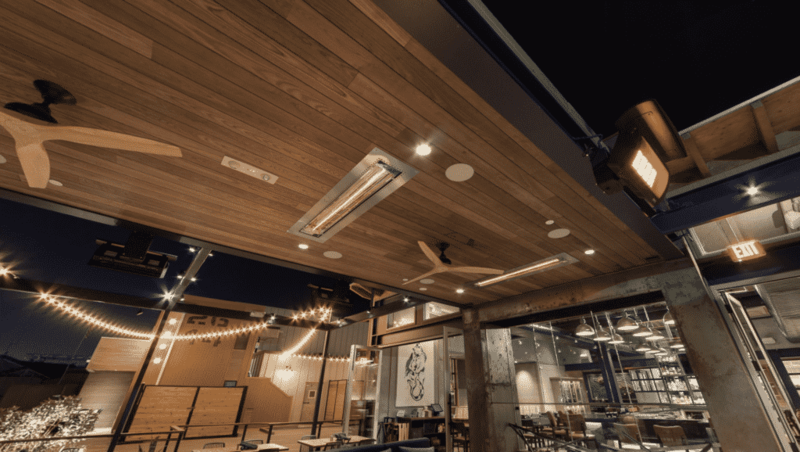 Inviting atmosphere is what all restaurants hope to accomplish. Ketch delivers. 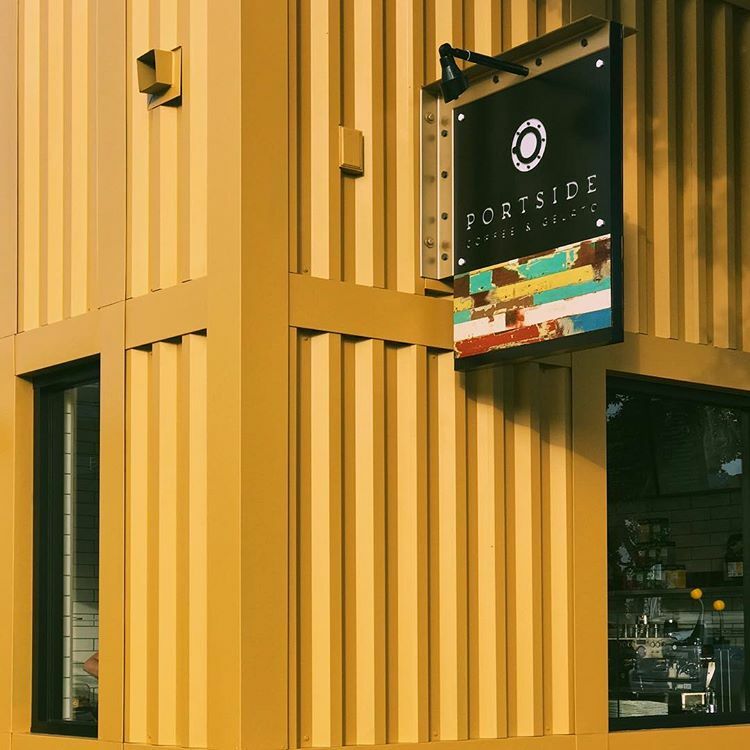 Portside Coffee sits, well…on the port side of Ketch Grill. The reclaimed teak boat wood sets off an easy going vibe that pairs well with their nautical theme. Goodies and style lie within.